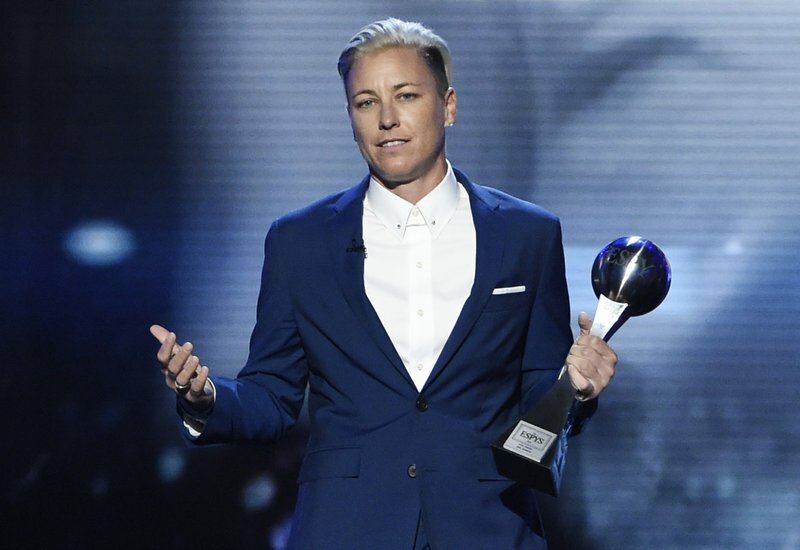 Soccer legend Abby Wambach publicly scolded thieves after her car was taken from her Naples home for a joy ride and vandalized. Three people broke into her car, stealing a wallet and purse, and wrote hate speech in sharpie on the inside of the car, according to a post on Wambach’s Instagram account. The trio then rode it around between 1:30 a.m. and 4:30 a.m. Wednesday morning before bringing the car back. Naples Florida: Just wanting to let the kids/idiots who broke into our car this am… you broke into and stole(they joy rode for a few hours between 1:34am-4:30 am) the wrong peoples car!! They stole valuables including a purse and wallet(gift to my wife) and wrote hate speech in Sharpie all over the inside of our car. They were Caucasian (3 of them). One had a hoodie with cargo shorts. The driver had an Ohio State hat on (O on front of hat) of red or black hat. Same guy had grey top, Nike shorts and Nike shoes. Also, they left finger prints on the car door when they left it back with us. We have the little black cars license plate and will find you. This neighborhood has each other’s backs. Neighbors camera got you, you idiots!! If you turn yourself in now, and return the stolen property, and pay for the car damages we won’t press charges. If you don’t, you are going to go to jail. You have 24 hours. If you have any info get in touch. Thanks everyone. One person was described as wearing a hooded sweatshirt and cargo shirts, Wambach wrote. Another was wearing a gray top, Nike shirts and Nike shoes, with an Ohio State “O” on the front of a red or black hat. Surveillance footage from a neighbor’s home caught the culprits and showed the suspects’ description and license plate number, according to Wambach. Fingerprints were also left on the car door. Wambach warned whoever was responsible that she’d press charges in 24 hours if they did not come forward and pay for the damage, according to the social media post.